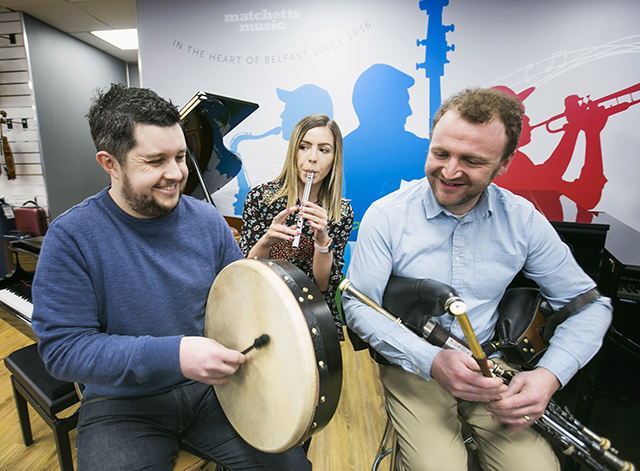 Image: Pictured is Gary Dodsworth of Matchetts with Leanne Magee, Arts Council of Northern Ireland and Uilleann piper and instrument maker, Patrick O’Hare. If you want to buy the musical instrument of your dreams then Take it away may be the answer. Supported by the Arts Council of Northern Ireland, Take it away is an interest free loan scheme which spreads the cost of buying a musical instrument. Customers can borrow anything from £100 to £2,000 and spread the cost, interest free, over 9 months (with a 10% deposit). As well as buying your chosen musical instrument, you can also add on additional items to your Take it away loan to help ensure you have everything you need to get playing such as an instrument case, amplifier, strings, reeds, sheet music and delivery or set-up charges. If the shop where you're using Take it away offers tuition, you could also add on a block of lessons to your loan. There are currently four outlets in Northern Ireland offering the scheme to customers. 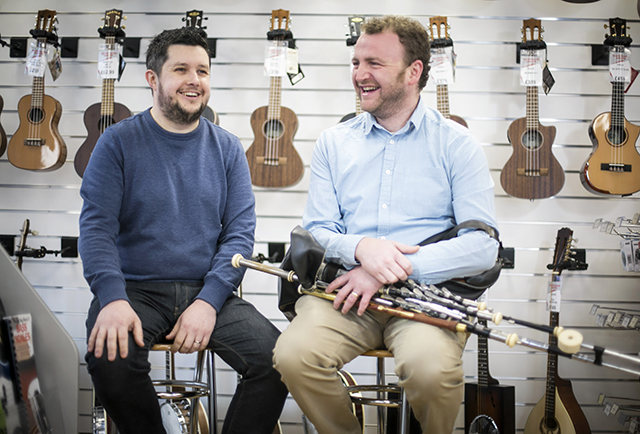 Matchetts Music, in Belfast, recently partnered with Uilleann piper, teacher and instrument maker, Patrick O’Hare, to offer customers the opportunity to purchase Patrick’s high-quality pipes through the Take it away scheme. "The Take it away scheme is a fantastic opportunity for myself as a local maker, but more importantly, as a means for people having access to high quality musical instruments. The pursuit of improving your musical ability is very much dependent upon the quality of the instrument you play and with Uilleann pipes this is even more so. This scheme is brilliant and I look forward to working with Matchetts in helping to create the next generation of world class Uilleann pipers"